By Bob Camardella. Discovered by Player FM and our community — copyright is owned by the publisher, not Player FM, and audio streamed directly from their servers. 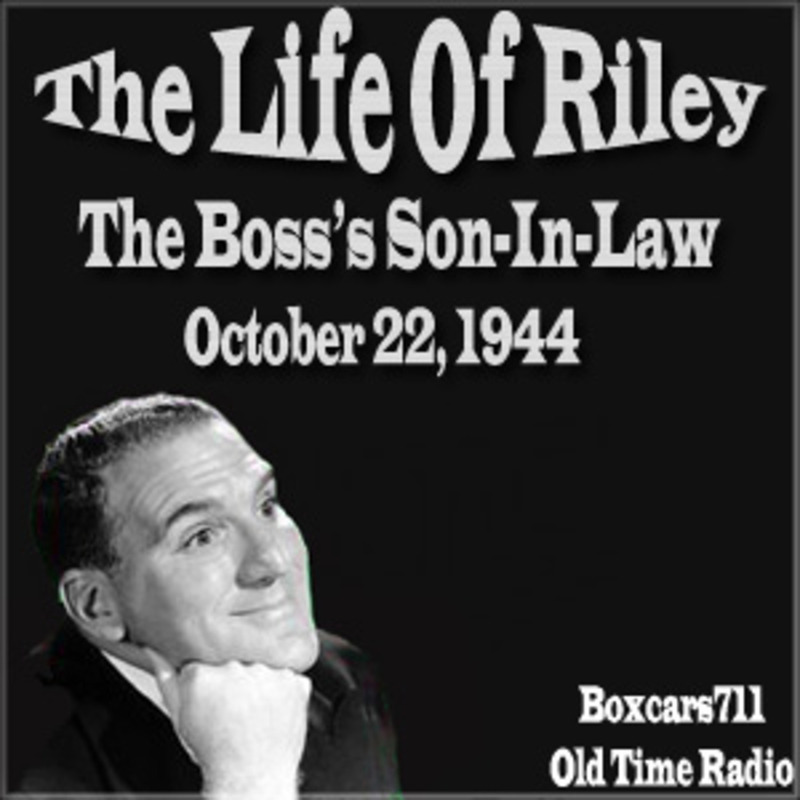 The first Life of Riley radio show was a summer replacement show heard on CBS from April 12, 1941 to September 6, 1941. The CBS program starred Lionel Stander as J. Riley Farnsworth and had no real connection with the more famous series that followed a few years later. The radio program starring William Bendix aired on the ABC Blue Network from January 16, 1944 to June 8, 1945. Then it moved to NBC, where it was broadcast from September 8, 1945 to June 29, 1951. The supporting cast featured John Brown, who portrayed not only undertaker Digger O'Dell but also Riley's co-worker Gillis. Whereas Gillis gave Riley bad information that got him into trouble, Digger gave him good information that "helped him out of a hole," as he might have put it. Brown's lines as the undertaker were often repetitive, including puns based on his profession; but, thanks to Brown's delivery, the audience loved him. The series was co-developed by the non-performing Marx Brother, Gummo. Procter and Gamble (Prell shampoo) and Pabst Blue Ribbon beer were the show's longtime sponsors. THIS EPISODE: October 22, 1944. "The Boss's Son-in-law" - Blue network, KECA, Los Angeles aircheck. Sponsored by: American Meat Institute. Riley's boss is unhappy with his family situation. Riley tries to size up the new son-in-law. William Bendix, John Brown, Ken Niles (announcer), Ken Christy, Barton Yarborough, Don Bernard (director), Lou Coslowe (music), Dink Trout. 28:32. Episode Notes From The Radio Gold Index. 3693 episodes available. A new episode about every 5 hours averaging 29 mins duration . Start listening to Boxcars711 Old Time Radio Pod on your phone right now with Player FM's free mobile app, the best podcasting experience on both iPhone and Android. Your subcriptions will sync with your account on this website too. Podcast smart and easy with the app that refuses to compromise. Everyday of the week listen to the great shows from Old Time Radio. Those great shows that made of laugh or gave us exciting journeys into the Dramatic, Suspense, Action, Westerns, SciFi,and Adventure. The best Old Time Radio adventures in crime, mystery, espionage and suspense! Relic Radio Thrillers delivers the ticking time bombs, mysterious crime scenes, and the cloak and dagger action that today's armchair adventurer demands! Crime stories from the golden age. Old Time Radio is filled with cops, robbers, and private investigators...Lets reopen the cases and hear these great stories again!